Based on this cameras' small size and low weight, it is easily integrated into your application. It has been used in a variety of ways, from classical industrial applications to non-industrial areas such as microscopy, UAV, and various traffic-related applications. THIS IS THE BARE-BOARD VERSION WITHOUT ANY LENS MOUNT. 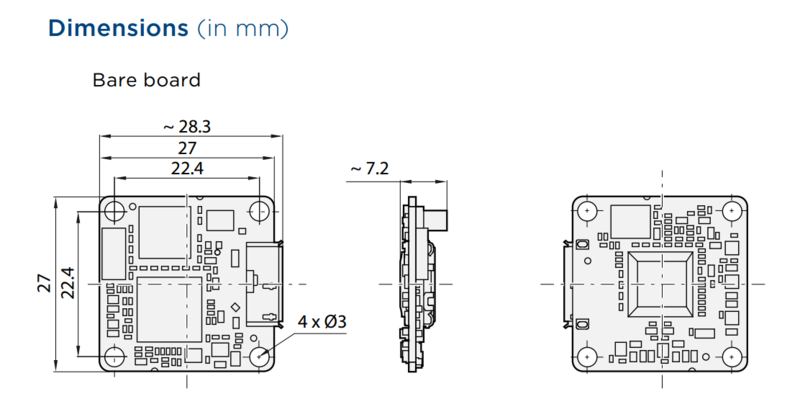 Effective sensor size is 1/3.7, for a diagonal of 4.84 mm. Lens mount optional.